Thủ Đức Water Plant in HCM City. — VNS File Photo. 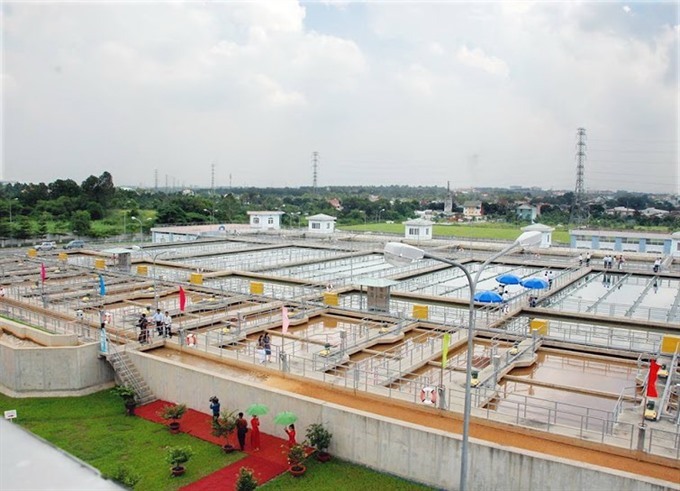 HCM CITY — HCM City has upgraded its water supply network with the adoption of advanced technologies in operation and exploitation and supply of clean water. Reducing water waste is one of the measures to save costs since wastage amounts to 16 per cent in HCM City and 22 per cent in Hà Nội. Bùi Thanh Khuyên, member of the management board of the Thủ Đức Water Supply Joint Stock Company (Wasuco), said daily water consumption in HCM City amounts to over 1.8 million cubic metres. Khuyên said financial problems are causing difficulties in supplying water even as demand for water for household and commercial use is on the rise. Residents in suburban areas bordering Long An Province face shortages, while 5,000 to 7,000 households in the suburban district of Bình Chánh are demanding clean water for daily use, he said. This year Wasuco will continue with its plans to expand its supplying network and to reduce water losses in its pipelines. It has begun to use information technology to manage customer service, water supply and human resource training and development. Its subsidiary companies have begun to adopt advanced technologies in their operation. Rynan Technologies Vietnam and Thủ Đức Waseco JSC have signed a pilot project for a smart water supply network in Thủ Đức District. Under the pilot project, locally made smart water meters will be installed in 90 per cent of the households it covers. According to Wasuco, the smart water supply network will help prevent dripping and thus reduce losses (due to operation, maintenance and repair of the networks). It will also help customers adjust their daily use of water, make water available to more people and increase the profits of water supply companies. But smart water supply networks cost three to five times traditional networks do. Nguyễn Thanh Mỹ, CEO of Rynan Technologies Vietnam JSC, said a smart water meter made by his firm costs more than VNĐ2 million (approximately US$88), a high price for many customers.